Baby, it's cold outside! It has been freezing here this week, and I am tired of it. Why does it have to be cold 6 months out of the year? I can't wait to see the tulips peeking out from beneath the soil. So with a little wishful thinking I have started decorating for spring around the house. 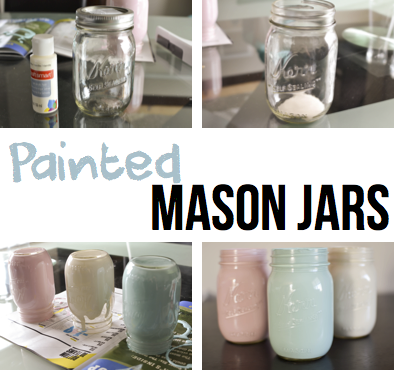 I decided the first project I would tackle are some fun painted mason jars. 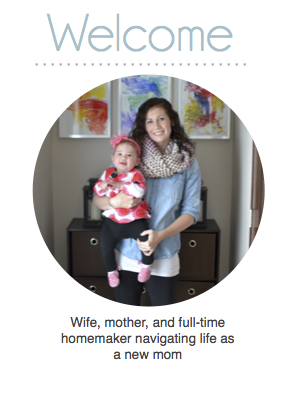 This was such a quick and easy project, and the end result looked great. It honestly only took 5 minutes to do, and I now have some beautiful jars to use as vases, decorations and storage containers. 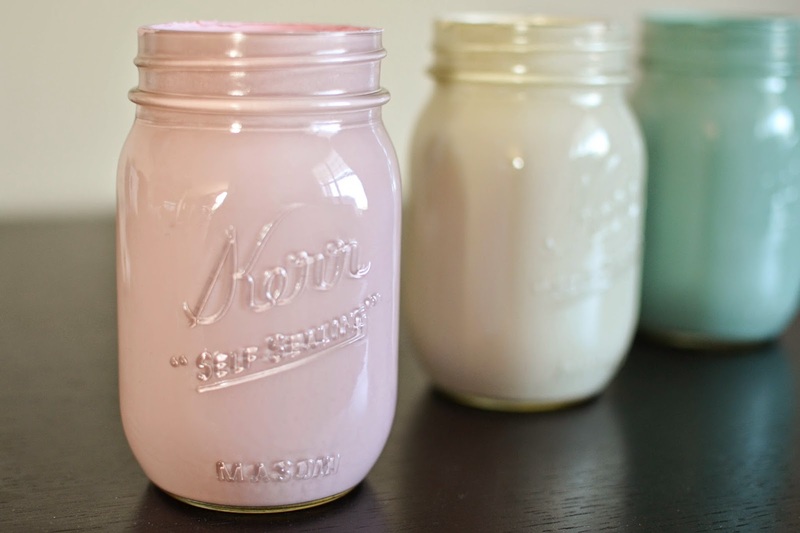 1) Pour paint into mason jar. 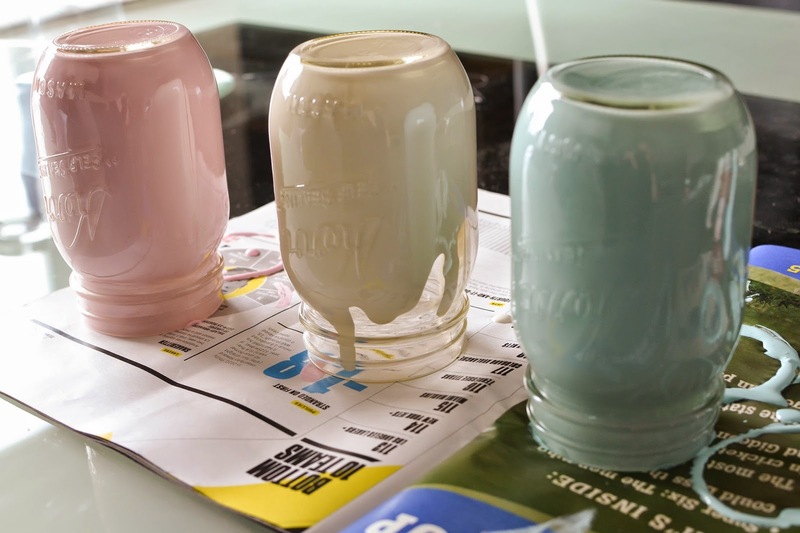 Using your acrylic craft paint pour enough paint into the jar to cover the bottom with 1/4" of paint. 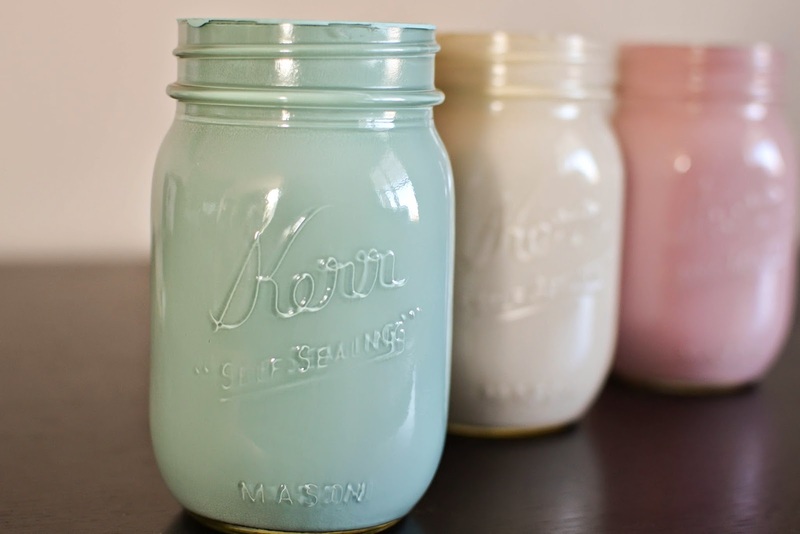 2) Cover jar in paint. Turn jar on an angle upside down and rotate to start to cover the inside of the jar in paint. The paint will slowly move down the jar. Continue to rotate the jar until it is completely covered in paint. 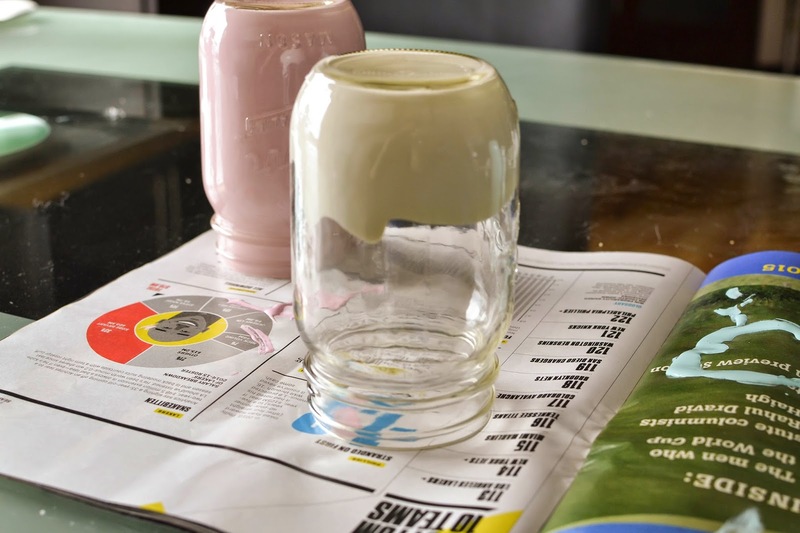 If the paint starts to slow leave the jar upside down for 10 minutes to see if the paint will cover the jar completely. If not, add a little more paint to the sides of the jar. 3) Allow extra paint to exit the jar. Once the jar is completely covered in paint leave the jar upside down on a piece of cardboard. 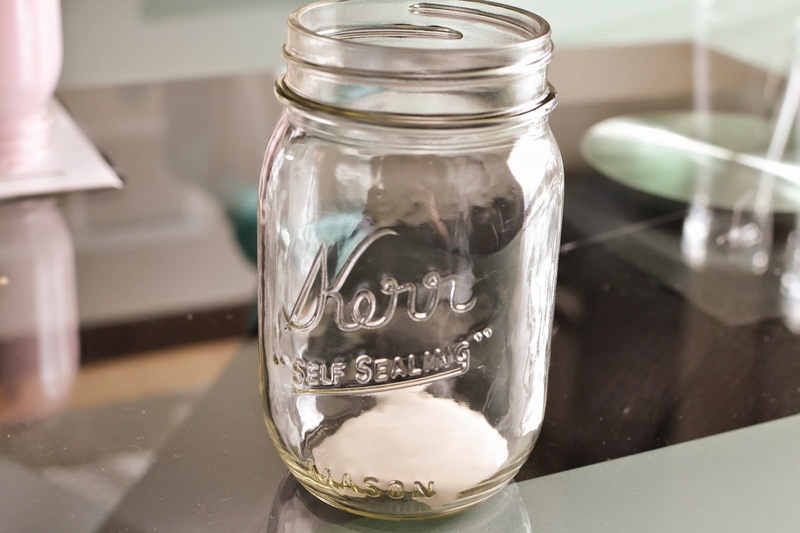 Move the jar to a new spot every 15 minutes to prevent the jar from sticking and to allow the extra paint to flow out of the jar. When there is little or no paint coming out of the jar any more tip the jar upright and allow to dry completely. This will take a couple days. 4) Mod Podge the inside (optional). If you will be placing anything inside the jar you may want to use some Mod Podge to protect the inside from damage. 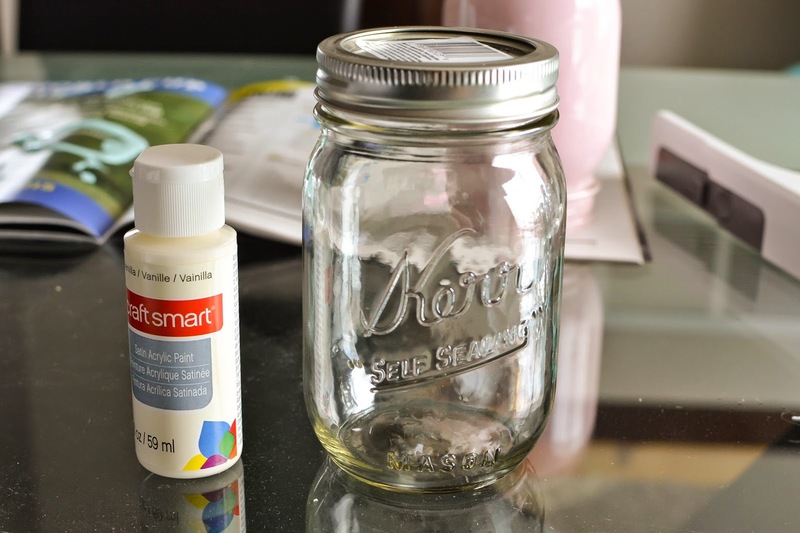 Also, if you will be using the mason jars as vases you may want to put a smaller vase inside and fill that with water just to make sure the paint will not wash away.